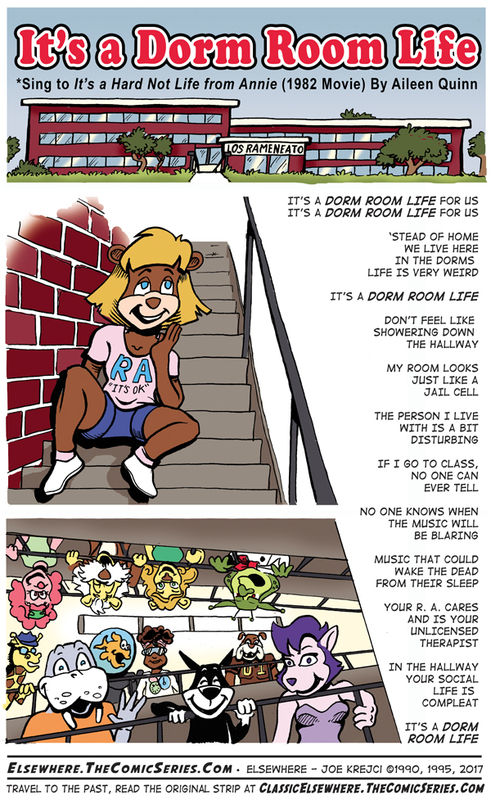 Welcome back to school and for some of you dorm life. Which was always a spoke of the Elsewhere Wheel of Humor. If you went to Cal State Long Beach this dorm might look familiar. It's Los Ramen-Eat-O and across the lot is Los Doritos.